It is time to learn how deadlifts change your body in 27 ways. Deadlifts are one of the most effective full body exercises you can do. Instead of spending 20 or 30 minutes doing curls, you can gain much more overall muscle doing deadlifts. Because deadlifts train your entire body. Curls for example, are only exercising your biceps and elbow flexion. Deadlifts on the other hand, engage your hips, legs, ankles, back, lats, shoulders, just about all your major muscle groups. When you only have limited time to train, choose deadlifts! 1. 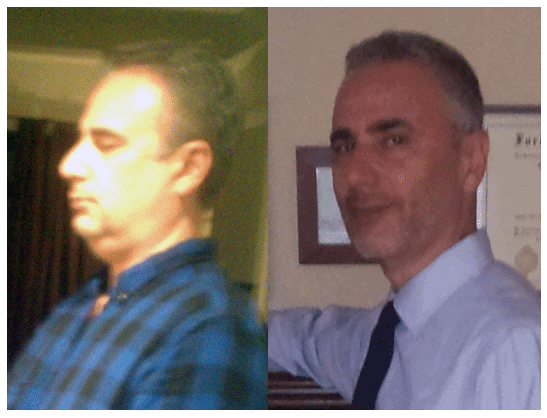 Weight loss – How does the deadlift transform your body? Because deadlifts work out your entire body. As a result, deadlifts are great for building muscle, raising your metabolism, and weight loss. True, you need to lose enough weight in the first place to start deadlifting. But, once you are at a weight where you can start deadlifting, you can almost feel your fat melting after a deadlift workout. 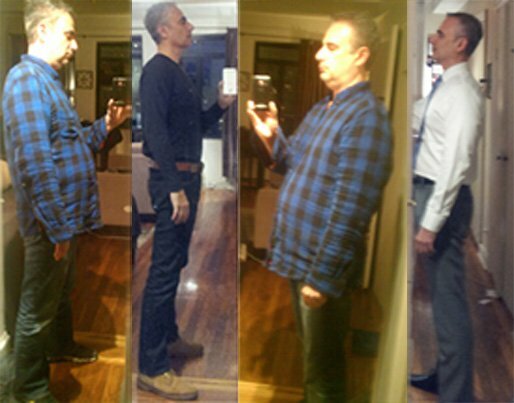 I experienced a 75 pound weight loss over 6 months with the phenomenal benefits of deadlifts, squats, pushups, walking and focusing on real food (as opposed to processed). If you need to lose weight, deadlifts are one of the most powerful tools in your arsenal to accelerate weight loss. 2. Fat loss – the more muscle mass you have, the more fat you can burn. You are never going to build muscle mass all over your body from doing curls. However, you can build major muscle mass all over your body by deadlifting. This is how deadlifts transform your body from fat to fit. 3. Fitness – beyond weight loss and changing your physique, you want to be healthier and fitter. Just do several sets of deadlifts with 3 to 5 reps and you will see how fast you can fatigue. If you keep your rest time between sets around 90 seconds to 3 minutes, you can feel as if you had a cardiovascular workout as well. 4. Deadlift Body transformation – having mentioned weight loss, it is important to note that deadlifts will not just help with weight loss. Even more than taking off weight, deadlifts will help you transform your body. Even if you are out of shape now, chubby, or even obese, you can experience a deadlift body transformation. While you might not look like bodybuilder Franco Columbu, deadlifts can help you create a physique that will shock you, let alone your family and friends. Your body responds to the demands that you impose. As long as you keep sitting on the couch, your body will not change. However, when you start deadlifting, you will be demanding tremendous effort from your entire body. This is how deadlifts change your body. From a body of jello, to a much fitter version of yourself. If you want more than just weight loss, deadlifts are an excellent path to total body transformation. 5. Muscle thickness development – deadlifts will help you build a sheath of thick, muscular armor around your body, at least that is how you can feel. Be consistent, deadlift with great form, respect the deadlift and your results will be a stronger, fitter body. 6. Posterior chain – deadlifts are going to help you strengthen your glutes. Proper deadlift technique demands that you tighten your whole body before and through the deadlift. This includes your glutes and hamstrings. By doing so, you will be less likely to put inordinate pressure on your lower back. Instead, you will use your powerful hips and upper back to drag and pull the weight up to a standing position. 7. Core – you must keep your core very tight or ‘blocked' when deadlifting. This means that you take in a deep breath, hold the breath and keep your core tight. You do not want to have a loose, weak core when deadlifting. This is why deadlifts will help you build a stronger core. 8. Lumbar spine – as long as you deadlift with a neutral back, you are helping yourself build a stronger and more stable spine. Never round your back when deadlifting. You must keep your back flat and neutral. 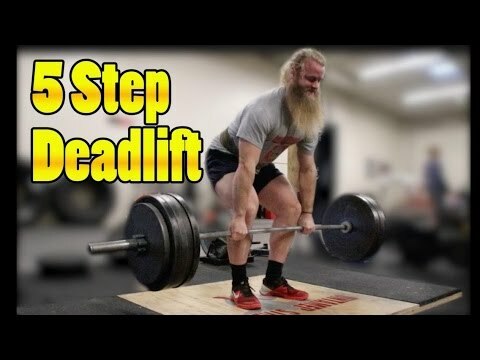 The best way I have found to fight round back, is by using the 5 step deadlift setup. The last step of the setup is to push out your chest before you start the deadlift. Emphasizing the push out of your chest is an excellent way to keep your back flat. Read more about the 5 point deadlift setup here. 9. Upper back – The lifting phase of the deadlift is more like a drag and pull up your shins, over your knees and quadriceps. Deadlifts will pack more muscle onto your mid and upper back. 10. Total deadlift back transformation – you might be surprised that deadlifts are good for your back. Deadlifts with bad form are terrible for your back, just as any weightlifting is. 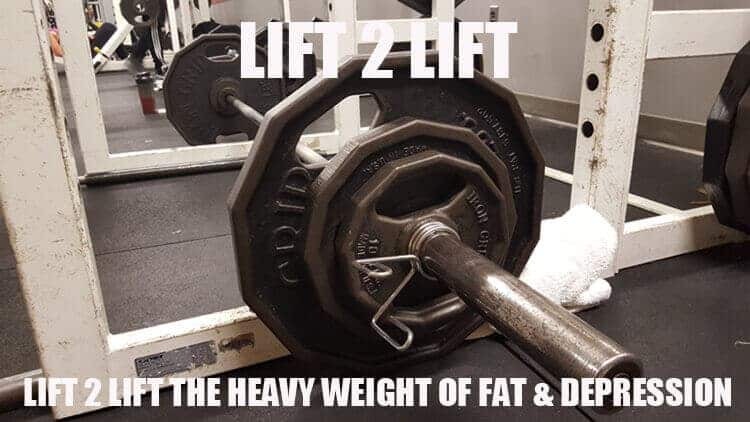 Except that deadlifts with bad form are more dangerous than other exercises. So, make sure that you understand proper deadlift form. 11. Deep muscles of the spine – the deadlift contracts and strengthens the spinal muscles on either side of the spinal column. 12. Trapezius muscles – deadlifting will work your traps intensely, especially as you get to higher weights. Your traps are heavily engaged when pulling the weight up to a standing position. Remember that the goal of the deadlift is to stand straight with the weight. Not to hyperextend your back. Do not hyperextend or arch your back in the final standing position of the deadlift. 13. Latissimus dorsi strengthening – the deadlift will help develop stronger lats, to give you that wider V look, as well as real lat strength. 14. Deadlifts strengthen your lower back, hips, glutes, your entire posterior chain. Therefore, deadlifts will improve your posture, so you can walk taller and stronger. If Lamar Gant who has scoliosis of the back can deadlift, so can you. 15. Grip development – deadlifting will help you strengthen your grip. Especially if you grip the bar overhand with both hands. As opposed to one hand over hand, and one hand under hand. 16. Growing your Forearms – forearm muscles grow just like any other muscle in your body — by increasing weight. Deadlifts are a great way to increase the strength of your forearms. Stop using straps for deadlifts in order to increase your grip and forearm strength. You have to demand more strength from your body to build muscle. Therefore, you need to gradually add weight so your body is forced to grow. You can also use a fatter bar for deadlifting to help spur forearm growth. If you do not have access to a fat bar, you can use rubberized grips that attach to a regular barbell or dumbbell like Fat Gripz. 17. Bigger biceps – even though you are not doing curls, deadlifts still place demands on your arms. The strength demand of deadlifts will help you to build more powerful arms. Just be mindful, that if you use an alternate grip, one hand overhand and the other under hand, this might make you vulnerable to muscle tear in the bicep. Since I learned of this potential pitfall, I deadlift overhand, but then again, my poundage is not too high. Please exercise caution when using an alternate grip. 18. 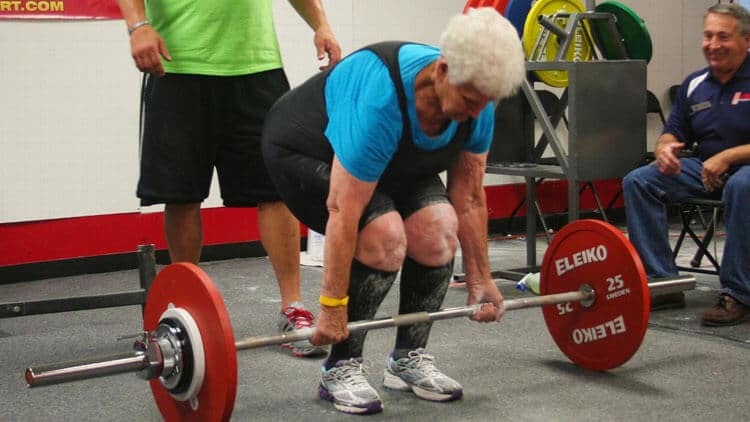 Overall body power and strength – I can vouch for the difference deadlifting can make for anyone past 50. You do not want to feel an effort when you walk, stand, sit down, get up, climb stairs or breathe. Out of all the exercises I have done over the last 5 years, deadlifts, along with squats have made the biggest difference. 19. ADL protection – activities of daily living protections – meaning by strength training, you are buying the best insurance to keep your muscles and bones strong. Deadlifts are one of the best tools to ensure that you can move easily as you glide into life after 50. Weight loss is never enough. You do not want to be ‘skinny' without muscle. You need muscle to move your body with ease and without discomfort. 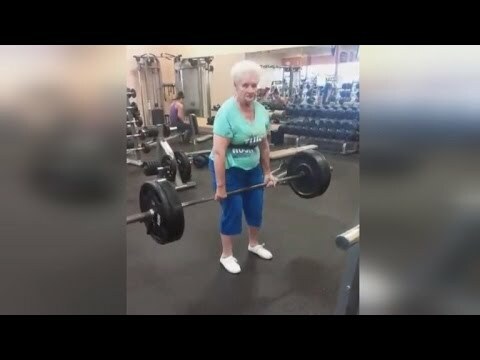 If you need proof of the incredible power of how deadlifts change your body, just read this article about Shirley Webb, a 78 year old grandmother who regained her mobility through the deadlift. 20. Elimination – believe it or not, the deadlift can help in the elimination department as well. And, better digestion and elimination are critical for long term health of your colon and entire body. You have to move toxins and waste out of your body. Too many people over 50 suffer with constipation. Deadlifts help train pelvic floor muscles. This stimulates the colon to produce peristaltic wave contractions, which helps you eliminate effectively. 21. Become a better runner – deadlifts can help you get faster. 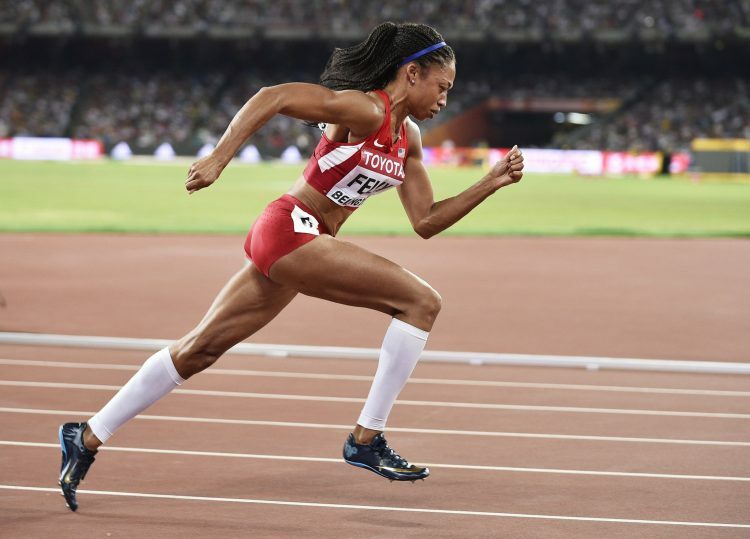 Read how Allyson Felix increased her speed by deadlifting here and became an Olympic gold medalist. And, even if you are not planning to run in the Olympics, deadlifting can make you a better at running or whatever your sport is. 22. For a non-athlete, the deadlift is one of the easiest ways to become strong. Deadlifts are a full body exercise that will build muscle over your entire body. The more proper form deadlifts you practice, you will start to look and feel fit. In fact, people might start mistaking you for an athlete, even if you are over 50. Check out how deadlifting helped Hugh Jackman play the Wolverine. 23. Prevent back pain? Yes, deadlifts can prevent back pain. The last thing you think is that lifting hundreds of pounds off the floor will prevent back pain. It is true that if you deadlift with bad form, you can kill your back. You need to be very focused when you deadlift. You have to use great deadlift form. If you proper form deadlift, then you will strengthen your glutes and spinal erectors. Besides all the other muscle groups mentioned above. Together, your stronger muscles of your glutes, spinal erectors, and entire back and core, will help you prevent back pain. Deadlifting gets a bad rap as a potential lower-back killer. Avoid the most common errors and learn to build a bigger, safer deadlift with Alan Thrall and Silent Mike of Untamed Strength. Watch this video to learn about the best cues you can use to ensure proper deadlift form, and prevent lower back pain. 24. If you are having trouble building muscle and melting fat, look no further than the deadlift. Testosterone is a hormone which is responsible for muscle growth and repair. Heavy deadlift training, which means at least 75 percent of your one rep max, can increase your production of testosterone. Especially if you are a man. 25. Growth hormone is produced in the pituitary gland and helps stimulate muscle growth, bone density and fat loss. Heavy and intense deadlift training can help stimulate your body to produce more growth hormone. Who knew that the fountain of youth can be lifted off the floor. 26. Lift your mood with the deadlift. Like other exercises, deadlifting increases endorphins, the feel good hormones. So, next time you have the blues, before reaching for prozac, get to the gym and deadlift. Read this to find out why deadlifts are more effective than antidepressants. 27. You want to feel good and fit, right? Deadlifts will help you look and feel younger. More muscle, less fat, better functional movement and posture, you are going to feel and look great. A suit fit off of the rack, finally! We see the many ways that deadlifts change your body. The question now is how to deadlift in the most effective way possible. The first rule is to always respect the deadlift. Learn how to deadlift with proper form. Never sacrifice form to lift heavier weight, ever. We also know that the body will only work it's magic if you demand change. That's right, like a genie in a bottle, your body will adapt to your demand for more strength. You have to force your body to respond to new imposed loads. 5 sets of 5 deadlifts @ 50 – 70% of your one rep max. You didn't think that I'd leave you flailing in the wind without the best deadlift tutorial video, did you? Now that you want to start a deadlift workout program, you must focus on perfect deadlift form as much as possible. 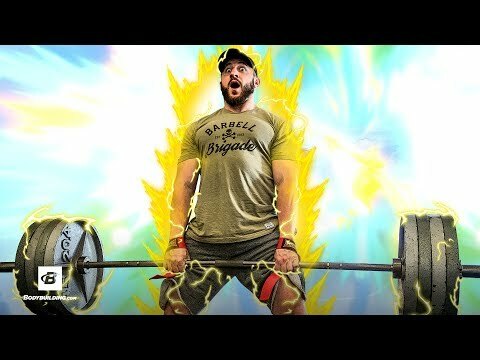 This is the best deadlift set up video that I have seen to date. In fact, this 5 step deadlift setup from the classic barbell training book Starting Strength has helped me, so I thought you would be interested. This deadlift setup is gold, do not miss it! In case you cannot see the video below, read my review and summary of the 5 step deadlift setup. 5 sets of 5 chin ups/dips with one minute rest in between each set. Finish off with 5 sets of 10 reps of lateral raises, with one minute between each set. This entire deadlift training session should take no more than an hour. See this article by Chad Waterbury that discusses why this deadlift workout will increase testosterone here. Why deadlift 3 to 5 times a week? If you want to change your body, you need to let your body know that it must get stronger. In addition, the more you deadlift, the better you will get at deadlifting. I know there are deadlift workout programs which call for deadlifts once a week. However, you want to reap all deadlift benefits possible in the shortest amount of time. Therefore, you want to increase your deadlifting volume up to 25 to 50 reps per session. In addition, we also want to increase the intensity by keeping the rest periods short, between 1 and 3 minutes max. One minute is usually sufficient. Your deadlift workout now becomes your base. Do your deadlift training first, and then a few single joint exercises like chin ups, dips and lateral raises for your upper body. Now, you are pushing your body to change with one of the most effective exercises in the world. This is how deadlifts change your body in more ways than you can imagine. Please join the conversation. Have deadlifts improved your physical or mental fitness? Please share and inspire others with your own transformation. Thanks!